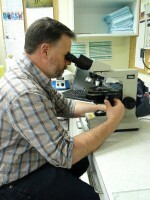 Carstairs Veterinary Clinic was founded in 2001 by Dr. Tom Picherack. We have always cared in-clinic for small animals, and provided large animal care on-farm from our fully-equipped Vet Truck. The clinic has steadily expanded hours of operation, staff and treatment areas in order to keep up with an ever-growing clientele. We are proud to say that we serve a large clientele from the surrounding area including the towns of Olds, Didsbury, Cremona, Sundre, Beiseker and many more. Some people even bring their furry friends from as far away as Calgary, Red Deer, Canmore and Cochrane to be cared for here in our clinic! The facility includes 5 treatment rooms, seperate kennel areas for dogs & cats, spaces for dentistry, radiology, lab services, pharmacy, 2 surgical rooms, a grieving room, and retail space where you can purchase the items that you need to keep your animals healthy and well fed. 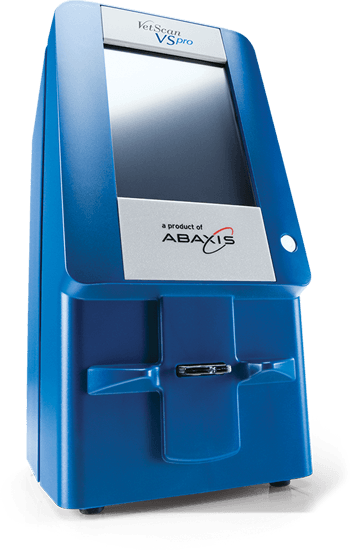 several state-of-the-art chemistry, electrolyte, immunoassay and blood gas analyzers that delivers accurate results very quickly. We are able to do blood analysis on-site, allowing us to check blood clotting times pre-surgery, and complete comprehensive blood analysis to support prompt diagnosis and treatment. All surgical procedures, including dental cleanings, require some level of anesthesia. 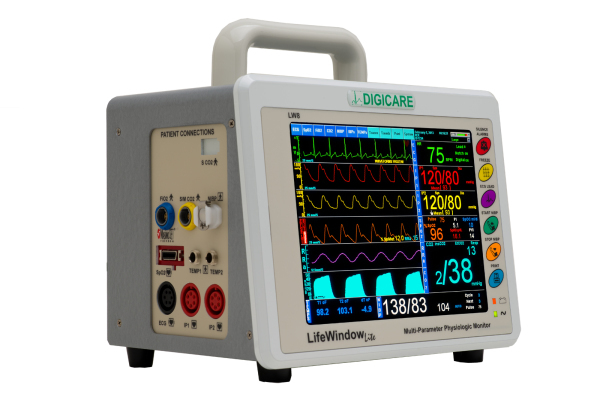 Our monitoring equipment provides the health care team with, and records, moment-by-moment information regarding your pet’s respiration rate, heart rhythm and rate, blood pressure, temperature, and blood oxygen and carbon dioxide levels. Our experienced Animal Health Technologists will monitor your pet’s vital signs throughout the entire procedure in order to maximize anesthetic safety. Microscopic Tissue Evaluation is completed in-clinic in order to diagnose and treat as quickly as possible. Our X-ray's are now completed with a state of the art digital x-ray unit. Digital systems generate a much more accurate image, and we are then able to analyze and work with that picture digitally. 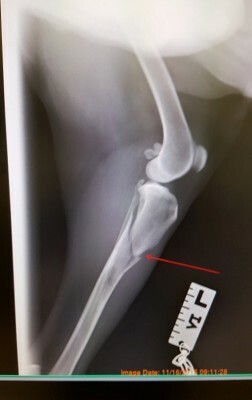 We can complete X-rays in the clinic or on farm for your larger animals. Another benefit is that we can send the x rays electronically for viewing by a radiology specialist for the few cases where this is required. Proper dental care is critical to the health of your dog, cat or horse. One of the best things a pet owner can do to insure the overall health of their pet is to do routine dental exams. We complete all dog & cat dentals in-clinic and provide hand-floating for horses on-farm or in-clinic. One of the therapeutic options available is Laser Therapy delivered via the Multiwave Locked System (MLS) Therapy Laser. This laser provides a beneficial effect; reducing pain, inflammation, and edema. 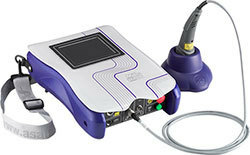 We have seen fantastic results when using this on our patients!